We have a special photography seminar lined up for Sunday, February 17th, 2019. 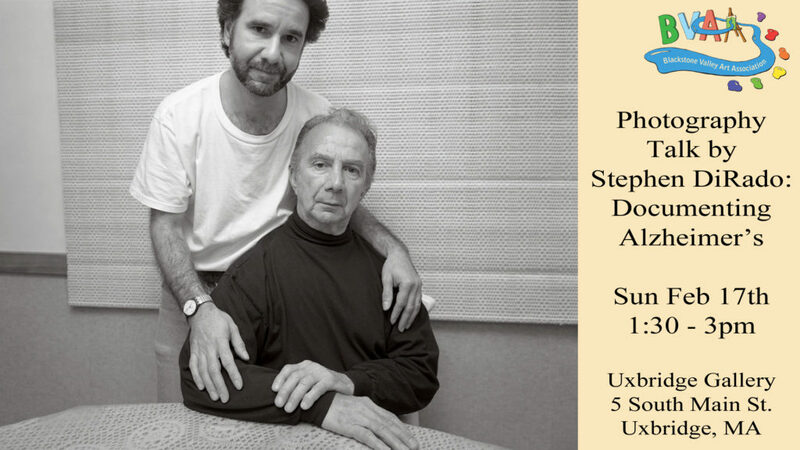 Talented photographer Stephen DiRado will come in to discuss his series he created documenting his father Gene’s descent into dementia / Alzheimer’s disease. Stephen has been featured on NPR and in the Washington Post. Please RSVP if you’re planning on attending, so we can organize the space accordingly. This meeting is free and open to the public. All are welcome. I would like to RSVP for two for the upcoming seminar by Stephen Dirado on Feb. 17th. Gordon Larrivee and I would like to attend this workshop.